How long does it take to start a business? You can be up and running faster than you think. Follow this guide to learn how to start a business in 30 days. You'll get detailed steps to take every day that will help turn your business idea from a dream into reality. There are a lot of steps that go into starting a business. It can seem overwhelming to try to tackle them all at once, but it with a few simple tools and this 30-day roadmap, you’ll have everything you need to lay the groundwork for a thriving, profitable business. We’ll cover everything: validating your business idea, writing a business plan, seeking funding, and setting up accounting tools, and setting goals and milestones. Remember: you don’t need any “special” training to run a business. You just need an idea, a good plan, the desire to learn and adapt, and the ability to take action! First, get a notebook or open a file on your computer, and answer these foundational questions. We’re getting an overall idea of what skills and resources you have now, and where you might want to seek out some education. There are no right or wrong answers here, only the answer that works best for you. Will you keep your day job? If so, how many hours does that realistically leave you each week to work on your business? And if not, how many months of living expenses can you cover? Do you understand all the risks of starting this business? Sit down with your family for an honest conversation. Do they understand the financial risks you’re about to take on? Are they ready to support you through the effort of getting this business off the ground? Are there ways they’d be willing to help in running the business day to day? Have you thought about funding sources? 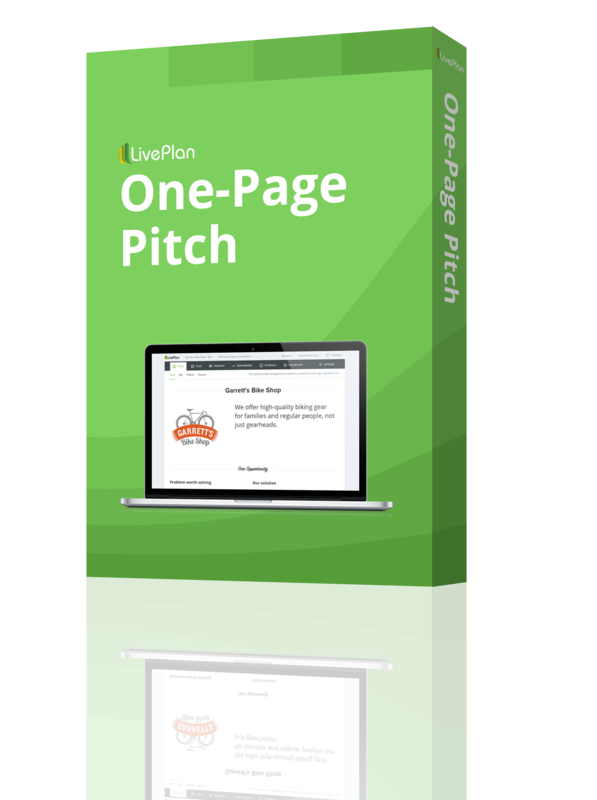 Do you have a ballpark idea of how much financing your business idea might need? If not, that’s okay—that will become clearer in future steps. But for the moment, let’s assume you’ll need a fairly substantial amount of starting funds. Where might you go for these—a bank or SBA loan? Investment from friends and family? Outside investors? Or, can you bootstrap? Make a list of potential sources now, and we’ll come back to it later. What are your personal strengths that might be essential to starting your business? What are your personal weaknesses or skill gaps that might make it difficult to start a business? One great way to consider these questions is to perform a SWOT analysis on yourself, focusing on your role as an entrepreneur in your industry. “SWOT” stands for Strengths, Weaknesses, Opportunities, and Threats. You can do a SWOT for your business, but at this stage, try a personal one and see what you learn. We have a free PDF template to help you. How committed are you to starting your own business and being self-employed? How committed are you to this specific business idea? These last questions are important. It probably goes without saying that starting a company requires a strong commitment. You’ll find the hard work and sacrifices much easier if you’re passionate about your business idea, or about being a business owner. How will you build your business skills and your network? It can be helpful to contact your local SCORE or SBDC office and look into business mentorship programs and startup incubators in your area. Chatting through your questions and ideas with someone who’s been there before and wants to support you can be invaluable, especially if you’ve never started a business before. It’s time for a fresh notebook page/computer file—or download our free Idea Validation Checklist. There are several questions that set the stage for all the planning and execution you’ll be doing going forward, so take the time you need to write down your answers. If you’re feeling stuck, you might try talking with some potential customers, or visiting your local library or SBDC office to do some initial market research. Imagine that you have only 60 seconds (or 140 characters) to explain your idea to an investor. Keep it short and sweet. Some people call this an elevator pitch. What’s the problem, and what’s your solution? Every business needs to solve a problem. Don’t overthink this—the “problem” is simply the reason a customer buys your product or service. What need do they have that your company fulfills? That need is the problem, and your product or service is the solution. As an example, think about a hair salon. Customers go there with a variety of needs: maybe their hair has grown out and requires a trim. Maybe they need a special hairstyle for a big event. Maybe they need an affordable color treatment. All of these are problems that the right hair salon can solve. If you understand the problem your business solves, then you’re well on your way to being able to answer this question. When you think about the customers who will buy your product or service, what do they have in common? Their income level? Their geographic location? Their particular type of need? That’s your target market. Once you’ve identified your target market, think about how the current state of the economy is affecting them. Can you estimate how many customers your business might be able to reach, either locally or online? And, do you have an idea of how much they typically spend on your product or service each year? A little market research will help you understand whether there’s enough of a market—or people who will pay—for what you want to offer. Find the companies you’ll soon be competing with, and become a customer. Make purchases, spend time in their stores or on their websites, look for their marketing, and communicate with them as a customer. Learn what they do well, and what you can do better. Every business has competition—putting together a simple comparison table (competitive matrix) can help you see how your business stacks up against the others. Why and how much do you think people will pay for your solution? What is your competition charging? Are there reasons you’d charge more or less? Here’s a quick guide to how to think strategically about pricing. What do potential customers think about your solution? Here’s where talking with some potential customers can really be helpful. You may have a friend or family member who matches your target market. If not, put the word out that you’re looking for people to interview. Use your social media networks, if you have them. You don’t have to get deeply personal here; just ask them about how often they buy something like what you plan to sell, and whether their spending has changed in the past few years. Talk to several people, and take their thoughts into account as you consider your target market and how much potential income they represent. When you’ve pulled all this information together, be sure to congratulate yourself. You’ve set a strong foundation for planning your new business! Now, let’s do a financial feasibility forecast for your business. Don’t let the sound of that intimidate you–this is a simple, straightforward process. You’ll learn what the general financial picture of this business will be, and we’ll take it one step at a time. Refer back to the target market research you did in the previous section, and use this data to build a simple sales forecast. A spreadsheet program or business planning software can make this process faster. Now, make a list of all the one-time expenses you’ll have in order to start this business. Will you need to buy or lease a physical location? Hire a website developer? Buy any special tools or equipment? Start with a big brainstorming list, and then narrow that to what will be essential for your company’s first day of business. Don’t forget additional costs like legal fees to set up your company’s business structure, professional licensing, or franchise fees. Next, make a list of the ongoing expenses your business will have. Will you make monthly lease payments? Utilities? Business insurance? Supplies? Staff? Again, start with brainstorming and then narrow the list down to essentials. Make rough estimates, based on your experience and online research, of how much each item will cost each month. How much revenue will it take to break even—to cover your expenses? How many sales will you need to make in order to cover your monthly costs? The results of your analysis might inspire you to adjust your sales forecast a bit. Once again, congratulations! You’ve taken the first steps to build your financial forecast, and you’re that much closer to having a concrete business plan. Day 12 to 14: What about funding? Now that you have a better picture of how much cash you’ll need to get this business started, it’s time to start considering your funding options. Start with your own available funds—do you have savings to invest or cash you can liquidate? From there, look at outside sources. Our Business Funding Guide is an excellent starting point. Learn about business lending requirements from local banks. Look for business and investment networking events to attend in your area. Approach your local SBDC or business incubators to ask about funding options. We’ve budgeted some time later in our 30-day process for completing funding applications. For now, go ahead and collect any forms and instructions you’ll need. Also known as the UVP, your unique value proposition will be key to your marketing efforts. You’ve already done the groundwork by identifying the problem, solution, and target market for your business. You’ve likely learned a few new things in your market research, so now it’s time to put all that information together into a statement that describes how your business is different from its competition, and why it’s the obvious choice for your target customers. Don’t worry, you’re already more than halfway there. We have a helpful guide and some examples to help you craft your UVP. At this point, you have all the raw materials to write a business plan. So today, you’ll make the last few decisions you’ll need in order to get started. Why do you need a business plan? Businesses that have one grow faster, for one thing. Plus, any lender or investor will expect to see one before they consider your funding ask. 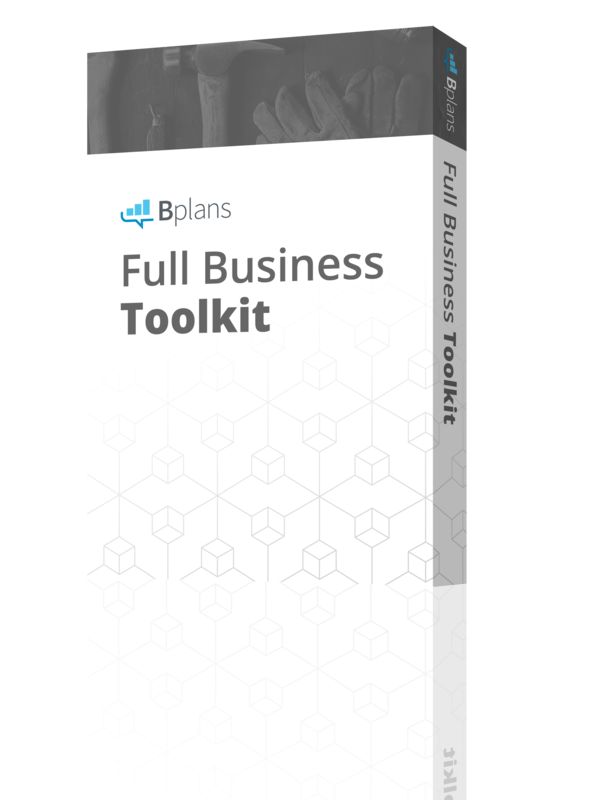 If you’ve never written a business plan before, Bplans has a library of over 500 sample business plans in a wide variety of industries that you can view and download for free. Microsoft Word and Excel (or Google Docs and Sheets) are great if you know what you want your plan to say and you want maximum flexibility to express it. Our downloadable business plan template can help too. 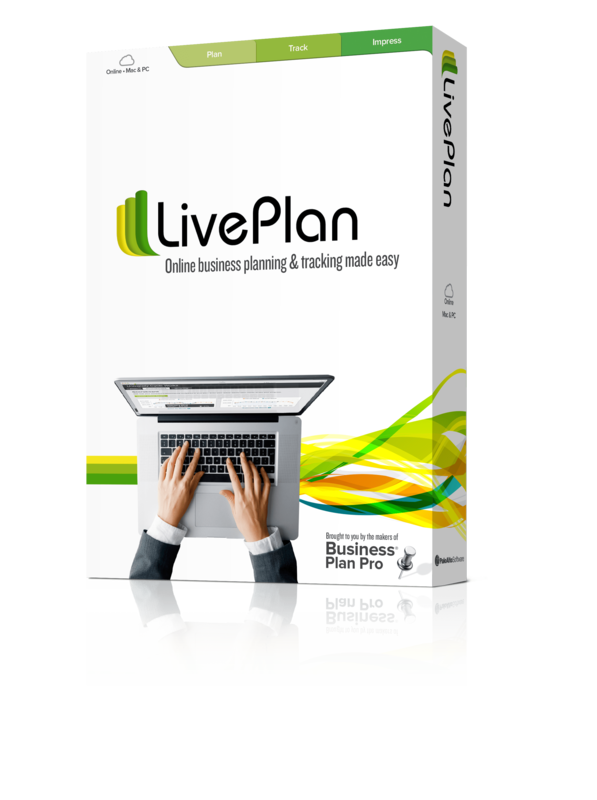 Business planning software like LivePlan goes a step further and guides you through writing each section—including the financials. Will you start solo or bring on a partner or employees? A second question goes hand-in-hand with this one: if you do need to bring on any colleagues at this point, what arrangements will you make for their compensation, whether that’s salary, shares, trade, or something else? You may have decided on this a long time ago, but take another look at your company name in light of your UVP. Does the name communicate something of your unique value? While you’re at it, do a business name search to make sure this name isn’t already registered by another company. It’s also wise to do a web domain search to make sure the web address you need is available. This page from the SBA will walk you through those steps. Then register your name to make it official. You might need a little time to complete this task, but for now, do some research into what makes a good logo, and common logo mistakes to avoid. You might hire a professional designer, or try using a crowdsourced option. Your logo is a piece of your company’s branding—start thinking about what impression you want people to have of your company at first glance. These next few days are about building a “home” for your business to live. As with the logo design, it might more than a couple days to complete, but now’s the time to get the ball rolling. Depending on the business you’re building, you might need only one of these things or both. Start with your website, because it’s wise to start growing your online presence as soon as possible. We have a complete guide to creating a business website, and some recommendations on how to make it well-branded. If your business also needs a brick-and-mortar location, check out our guide to choosing one, and these out-of-the-box ideas as well. Make a list of what you need. With that list in hand, start contacting commercial real estate firms in your area. You’ll need a business license, and the required paperwork to establish your legal business entity. Will your company be a partnership, an LLC, or something else? Do you need any licenses or permits to conduct business? You’ll also need a business tax ID number, or EIN. This is also a good moment to look for a local business attorney, which every business also needs. Find one you feel comfortable with, who can advise you on legal business matters going forward. It may seem a little early for this, but soon you’ll be in the throes of your first days doing business, and then you’ll have a lot to think about. Give your business a great head start by taking a little time now to find an accounting solution and get its initial configurations done. Why keep your books using accounting software rather than in Excel spreadsheets? For one, you’ll reduce the amount of time you’ll spend doing data entry—and the likelihood of making errors. If you use LivePlan to write your business plan, you’ll be able to connect it with QuickBooks Online or Xero down the road and compare your business plan forecast against your actual performance in real time—a powerful way to track the health of your business. It also makes it much easier to model financial scenarios, so you can see how different tactics might affect your bottom line. We’re big believers in the “minimum viable product,” or MVP. All this means is, instead of making a large investment in designing the most perfect version of your product or service before you go live, you start leaner. Instead, create a simpler, easier-to-launch version that will still demonstrate the value you bring to your target market. So if you’re building a food delivery app, maybe build a simple version of the app and do some of the back end work manually, rather than coding the best version first. If you’re hoping to start a restaurant, before you build or outfit your space, first set up at your local farmer’s market and see what the response is to your food and prices. You can launch your MVP quietly and let your target customers interact with it. You’ll gain valuable feedback which will refine your idea, and make your product or service better before you invest in the final version. Think about the business idea you’re working on. What’s the minimum viable version, and what are some simple ways you might get it in front of your target customers? Eric Reis’s book The Lean Startup (we feature it in this reading list for entrepreneurs) is a great place to learn more about the MVP concept. The work you’ve done to this point has given you the foundations of a great business plan–all that’s left to do is get it on paper. So get out the planning tools you chose back on Day 16, and get writing. We’ll tackle your sales and marketing plan soon, but for now, focus on the business plan itself. 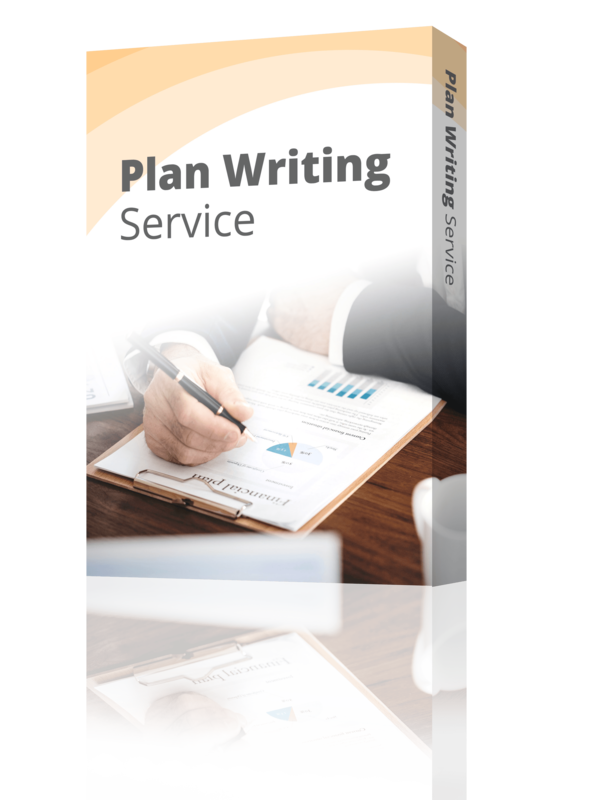 Remember, if you need some guidance on this step, we have a free downloadable template and a full guide on how to write a business plan. If you aren’t planning to seek a loan or investment, then consider doing a lean business plan, which comes together quickly. We have a Lean Plan template and a guide. You’ll also want to take the initial sales forecast numbers you pulled together on Day 7, and refine them based on the additional research you’ve done in the meantime. Your financial plan should include the following key elements—and this article will guide you through them and offer some free downloadable Excel templates. Plug all of these into your business plan. Remember, if you’re feeling at all intimidated about your financial plan, a tool like LivePlan can walk you through it step by step. Sometimes it makes sense to hire a professional business plan writer—here’s an article that shares a little more about what that process is like. Your accountant can also help you with your ongoing business planning and strategy. Now it’s time to formulate your sales and marketing plan. The research you did on your target market will help you decide which kinds of marketing will reach them best. Did you estimate enough monthly expense in your business plan forecast to cover the activities in your sales and marketing plan? Will you need any additional start-up funding to cover your sales and marketing efforts? This is also a good time to think about the ROI, or Return On Investment, of your marketing activities. How will you know which ones create the most sales? Here’s where the idea of milestones comes in. A successful marketing plan contains specific targets for marketing activities, and for measuring the sales that happen afterward. As a starting point, decide on some specific marketing activities you’ll do in the early days of doing business, such as an ad placement or a local event. Schedule these in your calendar now. Then schedule a second milestone a few days or weeks later to check in on your sales and see if they increased. Earlier in this project, you made a list of potential funding sources and pulled together some application forms. Pull those materials back out now, because now you have all the data you need for completing those applications. Look back at our funding guide if you want to revisit the different types of funding options. If you’re in need of a small business loan, we have a guide to preparing a loan application that gets results. You might approach local banks, or your local SBA office, or look into online lenders. Keep in mind that the process of obtaining a loan can take weeks or even months, though online lenders tend to move more quickly. You’ll find some tips on securing loans here. If you want to seek investors, we have a guide to help with that as well. Keep in mind that most investors won’t fund an idea—they’ll be looking for some initial proof that people buy your product or service, as well as some evidence that your business model can be scaled quickly. They’ll also be interested in your exit strategy—investors make their money when you sell. As the last step, you’ll set up a framework to grow your business. Did you know that companies that pay regular attention to their numbers are 30 percent more likely to grow? You’ve done the work of building your projected forecast, and now it’s time to put it to work in helping you build a successful business. What milestones do you need to schedule for your business? Milestones are key to making your business plan useful and keeping your momentum going. Do you need to order business cards? Put together some job listings for hiring staff? Decide on a payroll service? Give these tasks due dates, so you stay organized and make sure everything gets done. As your business starts operating, you’ll want to compare your actual results against that forecast regularly. You can set up your own financial reporting spreadsheets, or use a business dashboard tool like LivePlan that does this work for you. This is also a good time to schedule your first business plan review meeting. Remember, your business plan shouldn’t just be a document you put together once and then file away. Use it as a tool to help you assess your progress and make good strategic decisions. Review your actual numbers against your forecast. Did performance line up with your goals? If your actuals are significantly over or under your projections, look for causes. Use this data to decide whether you need to make any adjustments to your strategic forecast. Or, do other changes need to be made, like cutting costs or increasing marketing? Review any milestones you’d set for the month, and make sure they’ve been achieved. Set some milestones with deadlines for the coming month. You can do this review by yourself or with your co-founders. If this review feels intimidating or you find yourself avoiding it, consider working with a strategic advisor. They have the financial expertise to help you understand what the numbers are saying, and make plans accordingly. At this point, you’re either ready to open for business or very close. Be sure to celebrate all the progress you’ve made! And hopefully, that progress has also created plenty of momentum. No matter where you are in the process now, you’ve gained some confidence that you can tackle any new learning you need to do. You’ll get better and better at your new skill set with practice. And if you make a few mistakes along the way, hey—they’re really the best teachers. You’ve got this. Now keep going! Ask an Entrepreneur: Can I Really Start a Business in 30 Days?